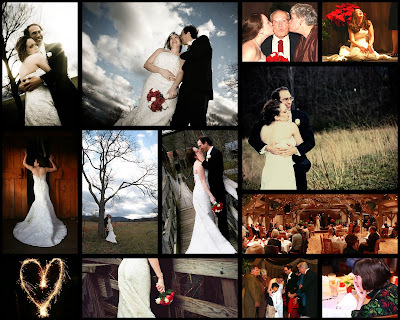 Melissa and David has a surprise ceremony at The Barn Event Center in December. Yes, I said surprise. They invited their guests to a dinner reception and had the ceremony once everyone was seated to eat. There were more tears at this wedding than I think I've seen, and just as many smiles after the ceremony! Windy, windy day - but the sun was out and some blue skies - that was good.